Posted December 31, 2018, in News. Christina Renna, Senior Vice President of the Chamber of Commerce Southern New Jersey, has joined WRI’s advisory board. 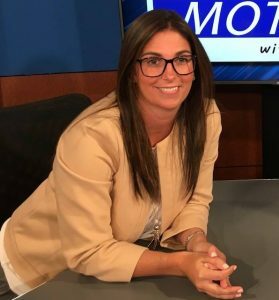 In her current role at the Chamber of Commerce, Ms. Renna handles all issues related to public policy, including providing verbal and written testimony before the New Jersey Legislature; planning and implementing all aspects of the Chamber’s policy committees; and leading the organization and planning of all related committee events. She also oversees the Chamber’s membership retention efforts. In 2020, Renna will assume the role of president following retirement of longtime CEO and President Debra P. DiLorenzo, as reported in ROI. Ms. Renna served as the Chamber’s Director of Government Relations from 2007 to 2010 before being tapped by Governor Chris Christie to serve in his Administration; she returned to the Chamber in 2014. In 2010, Ms. Renna was proud to be named as one of South Jersey Magazine’s first-ever list of rising stars in the South Jersey business community and was awarded the Campbell’s Soup Extraordinary Leadership Award by the Chamber of Commerce Southern New Jersey that same year. Renna’s extensive ties to South Jersey and expertise in policy and practice will serve as tremendous assets to WRI’s Board leadership. Page last updated by Senator Walter Rand Institute for Public Affairs at 11:17 am February 27, 2019 . This page was printed from http://rand.camden.rutgers.edu/2018/12/31/christina-renna-joins-wri-advisory-board/ at 4:41 PM Monday, April 22, 2019.